I was honoured to represent Cricket Victoria and be part of the Reconciliation Week Cricket Clinic at Bairnsdale West Primary School. I was joined by Victorian Imparja Cup Coach Stuart Clark and Team Captain Alex Kerr. Paul West does an inspiring job on behalf of both the school and Lucknow Cricket Club… Now that’s good cricket all round! 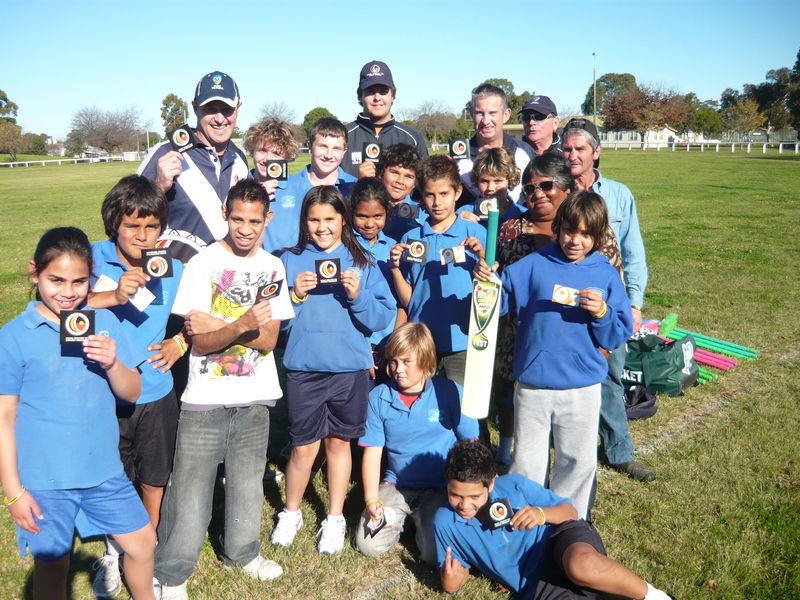 This entry was posted in Uncategorized and tagged bairnsdale, indigenous cricket, lucknow cc, noogal tooengorrt tani, westy by marcuscurnow. Bookmark the permalink. any other site which gives such things in quality?.